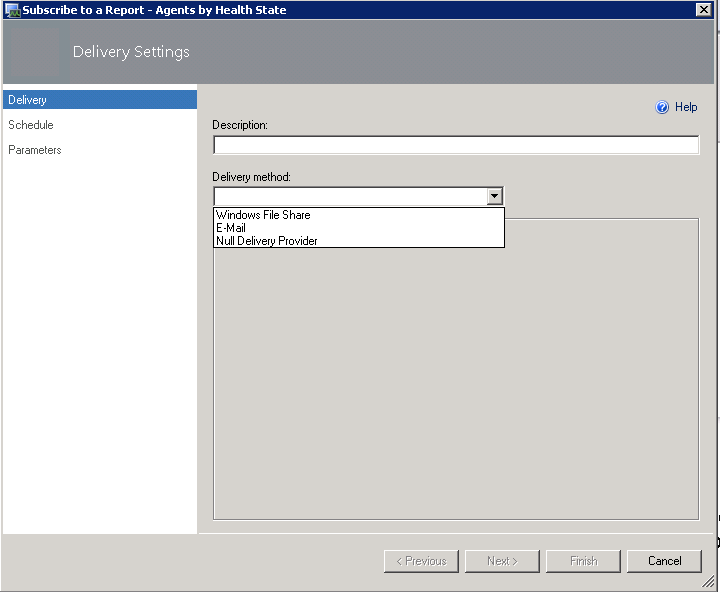 So this is the issue — you’re going to subscribe to a report in SCOM and the only options are “Windows File Share” and “Null Delivery Provider”. Well that’s a problem…we want these reports emailed. This error typically occurs when a SQL Migration is done, the reporting role is migrated, or on new installs. 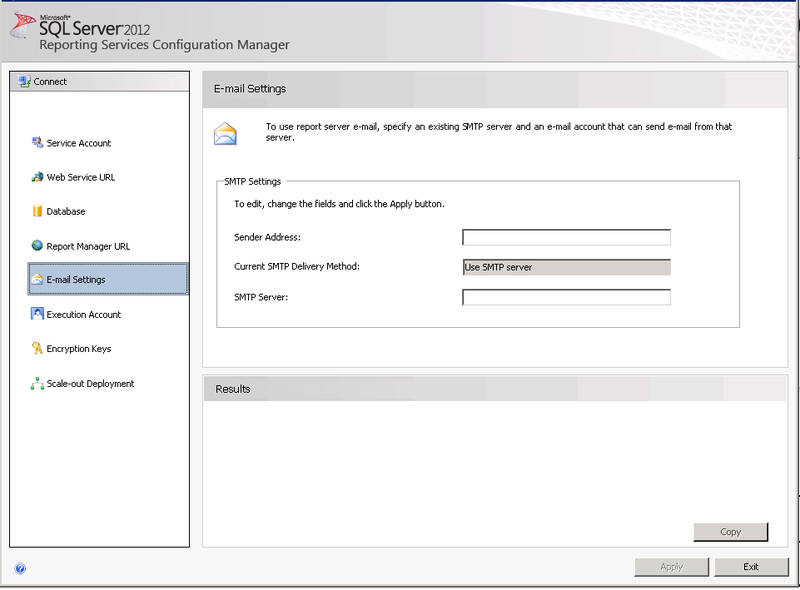 So go open up SQL Server Reporting Services Configuration Manager, and go to the “email settings” tab on the side. Notice there’s no data in there. Configure this to include whatever you want your sender address to be, and your SMTP server, then click apply and you should get this. Now, let go back and open up the SCOM Report Subscription again, and there we go! I hope I’ve made your day, at least a little bit easier. 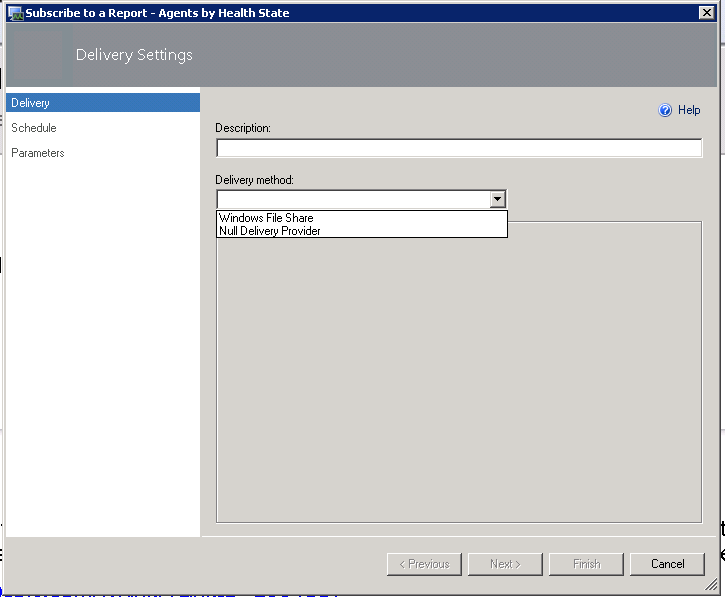 This entry was posted in SQL, System Center and tagged email settings, SCOM, SCOM 2012, SCOM Report Email, SCOM Report Subscription, SSRS Email, Windows File Share.